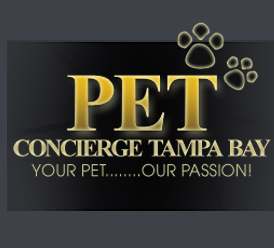 Sharon Lee, LCSW, is the CEO and Founder of Pet Concierge Tampa Bay, her lifelong dream. She holds a Masters Degree in Social Work and is a Licensed Clinical Social Worker. As her graduate thesis, Sharon studied, researched and discussed the important link between people and their pets, with regard to physical, spiritual and mental health. Her love of animals led to the creation of a cutting-edge program, Pets Healing People, which became the basis of her work in Pet Therapy. 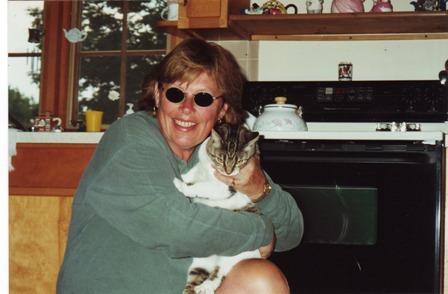 For the past 20 years, Sharon has used her expertise with animals to help both pets and people live better lives. • Help Pets and People Live Healthy, Happy lives. • Create Positive Pet Environments. • Assist in Helping Pets and People to Heal. • Help New Pet Owners to Successfully & Positively Raise Healthy, Happy Pets. • Show People How to Choose the Right Pet, as it is Important that the Pet that is Selected Fit their Temperament, Living Space and Lifestyle. • Help People to Understand, Build and Positively Utilize the Human / Animal Bond. Sharon has 20 Years of Experience with Animals and is an Expert in Pet Therapy and the use of Pets in Healing. Pet ownership can reduce stress-induced symptoms & add years to your life. Dog owners required much less medical care for stress-induced aches and pains. Pets such as dogs and cats provide unconditional, nonjudgmental love and affection. call 727-430-0379 to discuss how we can help.